This is an ebook I wrote that describes the techniques I use to create wooden shells. These are made on either a scroll saw, band saw, or both. 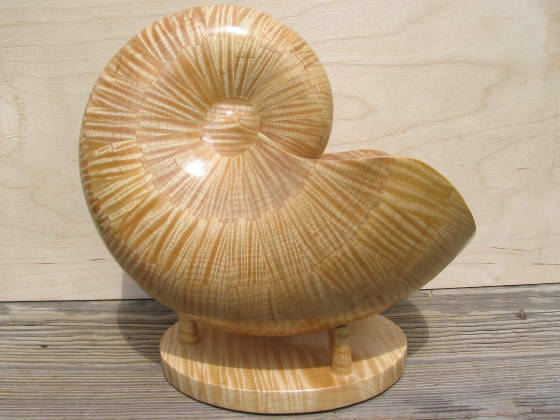 The technique uses segmented construction and the shells are hollow rather than being carved from a solid block (that would be difficult). Patterns within the wood from colors and growth rings are repeated and follow the curvature of the shell. Is it difficult? No, but it does require some patience. I invented the technique and it is very unique, you won't find any other book about this, and it is a new art form. I have sold many shells through art galleries.